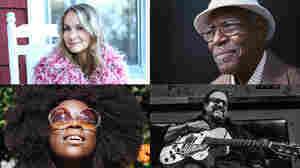 September 13, 2017  Moderated by NPR Music's Ann Powers, the program will feature performances and conversation from Don Bryant, Yola Carter, Raul Malo and Joan Osborne. December 12, 2007  With 13 days still to go, some listeners might be crying "Enough!" (already) when the carols play. Fresh Air's resident rock critic offers up two Christmas albums that might help make the holiday chestnuts seem fresh again. 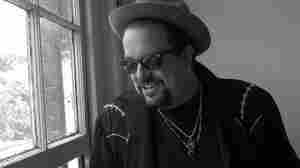 September 22, 2006  Raul Malo's new solo album of dreamy, romantic cover songs channels the sounds of Roy Orbison and Etta James. He says the trick was to pay tribute to the originals while doing them his own way. 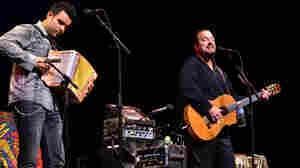 October 15, 2010  Beginning his career as leader of The Mavericks and later as a solo artist, singer-songwriter Raul Malo has long been a fixture in alternative country. 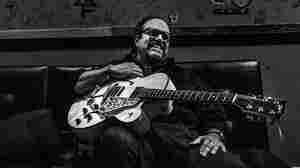 But Malo's new album, Sinners and Saints, is a nod to his impressively wide range of influences.